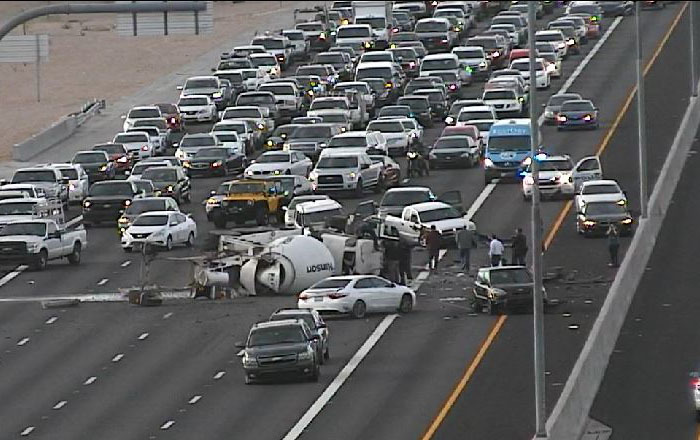 Scottsdale, Arizona—An accident on southbound SR-101 involving a SUV and a cement truck sent three people to Valley hospitals late Wednesday afternoon. Both vehicles rolled after crashing on SR-101 near Cactus Road. The cement truck driver, as well as a mother and child in the SUV, were all transported to hospitals. The severity of their injuries remains unknown. The accident investigation by the Arizona Department of Public Safety is ongoing. We wish speedy and full recoveries for those who were injured. Kevin Vazquez-Teran was killed yesterday when a vehicle collide with his motorcycle at the intersection of 40th Street and Cactus Road in Phoenix. Mercedes Durham was hit and killed as she attempted to cross Butler Drive at 7th Street in Phoenix while in a marked crosswalk. Khadija Taylor was killed and three other pedestrians were seriously injured after a hit-and-run accident near 7th Avenue and Camelback Road in Phoenix.